For a little while, it seemed like Hurricane Irma’s track would pass directly over Pearl. 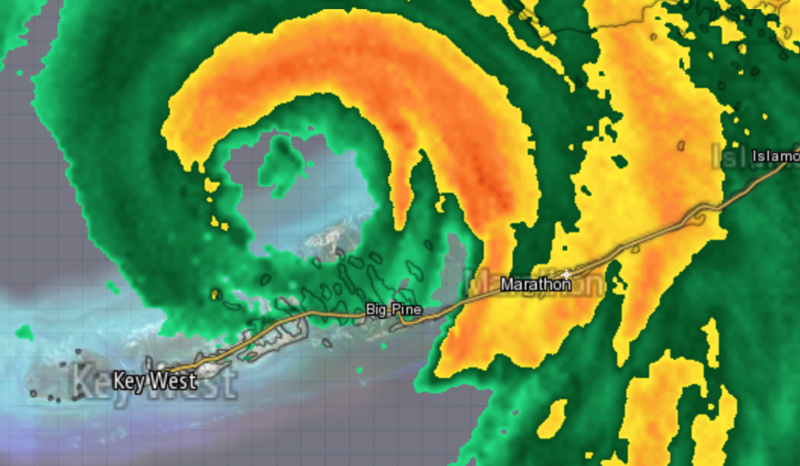 Right now, it looks like Irma’s split the difference between where we used to live in Key West where Pearl’s currently located in Marathon. 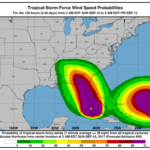 “Fortunately,” Irma is going through the area as a Category 4 Hurricane rather than the Category 5 that it was when it lambasted the Eastern Caribbean. While this is really bad, it could be worse. The question is how much damage the storm will cause. 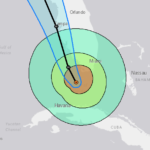 Will the bridges and causeways that connect the middle and lower keys be intact? How are people going to get food, supplies, and medical attention — since the medical facilities in the Lower and middle keys were closed and evacuated? Is the aqueduct that supplies water to the keys still intact? All of that remains to be seen. 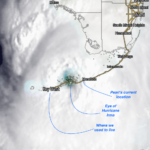 While we have no idea as to how Pearl’s weathering the storm, that’s infinitesimal in relation to what people who are permanent residents there will face. Next Next post: Pearl Still Standing?